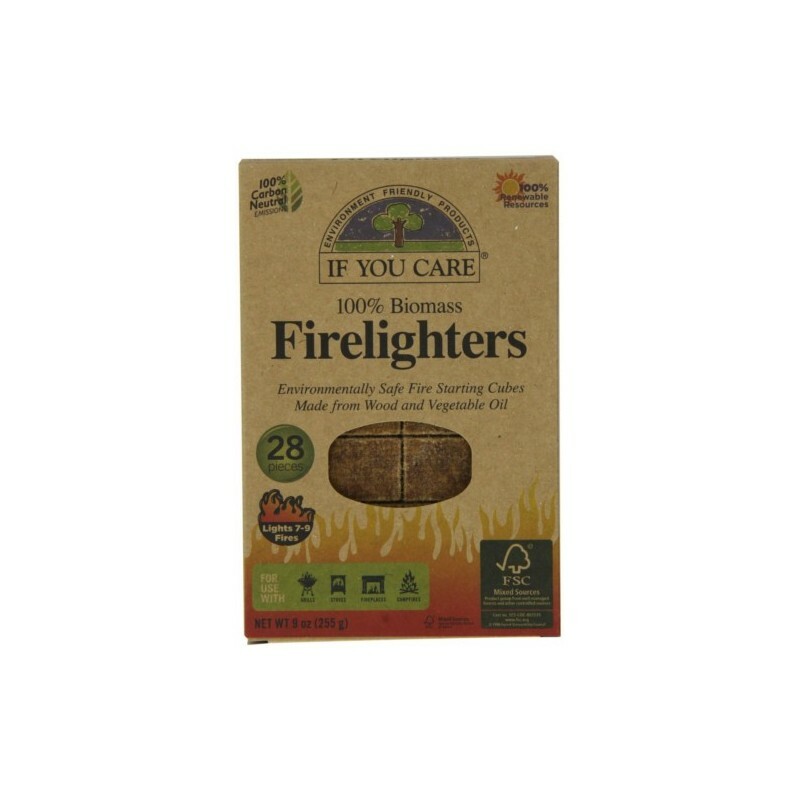 Environmentally safe fire starting cubes. Made from FSC wood and non-GMO palm oil-free vegetable oil. 28 individual pieces. Lights 7 to 9 fires. 100% Biomass. For use with grills, stoves, fireplaces and campfires. Packaged in a recycled chlorine-free dispenser box. 200g. Some firelighters contain kerosene and/or paraffin or parrafin wax, all derived from petroleum and often with the combustion of some firelighters formaldehyde (a known carcinogen) may be released. 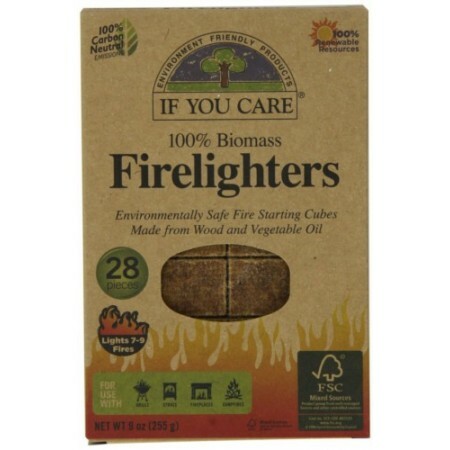 If You Care Firelighters are made from 100% renewable resources and are non-toxic. Safe for the environment and safe for you. Extremely stable with long shelf life. Firelighters do not dry out or lose their firepower even after opening. Made with wood from FSC certified responsibly mangaed forest and 100% non-GMO vegetable oil (combination of Coconut, Shea Butter, Cacoa, Rapeseed & Soja oils) i.e. 100% renewable resources. Can be stored in proximity to food. Materials - FSC certified wood from responsibly managed forests - 100% certified biobased material - 100% non-GMO vegetable oil (Coconut, Shea Butter, Cacoa, Rapeseed & Soja oils). Took a while to catch but lasted a long time when they did. Not quite right for me though may be good for camping.